In 2016 I made a start with my book project with Lessons in transformation at the Michaelis Galleries, University of Cape Town in May. What was intended to be a once off exhibition ending in a publication during the exhibition ended up being only the introduction! So look out for a series of exhibitions/performance events that will become chapters of the book. 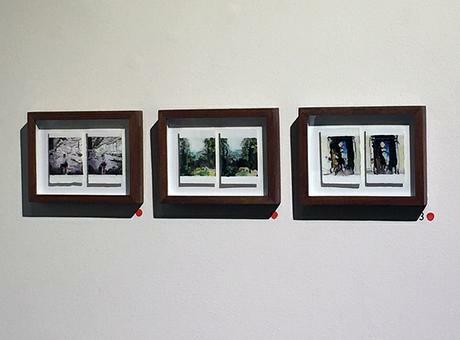 Last year I also participated in three group exhibitions at the Barnard Gallery,Cape Town. For the first exhibition titled Nano, I exhibited two sets of my #insearchofbologna ambidextrous Instagram paintings. These paintings are part of a series of works I created leading up to my residency in Bologna in 2015. I was using online search platforms and social media sites to explore the city of Bologna before I took up my residency in October 2015. Searching on Instagram for the top posts hashtag Bologna became the way I navigated the online database and selected the photographic subjects to paint. I then re-photographed the paintings and posted them back onto Instagram, tagging the original photographer. The second exhibition was titled Liminal Geographies. 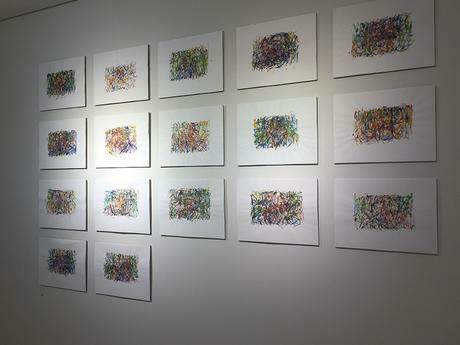 For this I contributed a season of the watercolour series I created for my exhibition data capture_LOST&FOUND. One of the performances for this exhibition involved creating a watercolour painting for each episode of the television series LOST) (ABC 2004-)I watched. 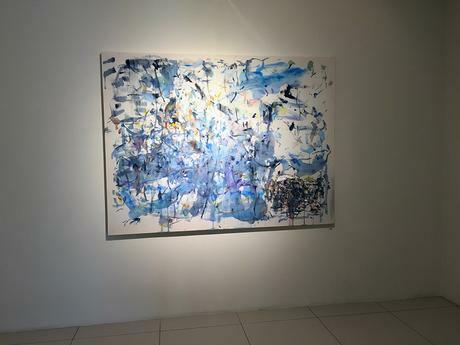 Lastly the painting I created during a performance at the opening of Lessons in transformation was selected to be part of Barnard’s Dinner Collection exhibition in December.